Lifting In – At Last! Finally, on 18 June, Drumler was lifted in to the Deben. This was originally scheduled for 6 June but we had to postpone when, during a last-minute inspection, I discovered that the top of the chain pipe – leading the anchor chain from the deck, through the fo’c’sle, to the chain locker – was completely corroded at top of the pipe, where attaches to the deck. Somehow no one, not even the surveyor, had noticed the chain pipe’s condition – probably because the fo’c’sle is a bit cramped and dark and not easy to root around in. I had to wait on board for a couple of hours to make sure she was not taking on too much water. Turns out, she’s as tight as a drum. 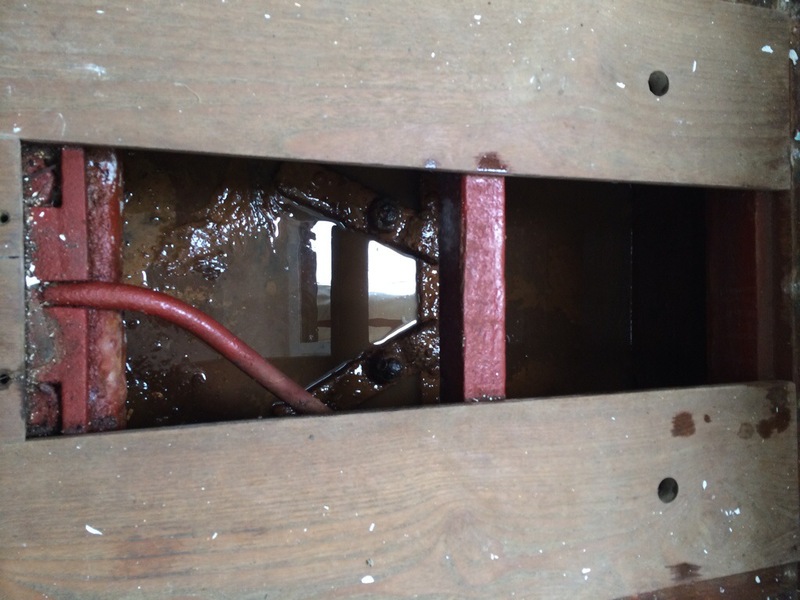 Bilges – nice ‘n dry! Dry for bilges that is.. I sat around for about three hours, just enjoying finally being back in the water, and not a drop came in. On her mooring by Eversons, so they can keep an eye on her. 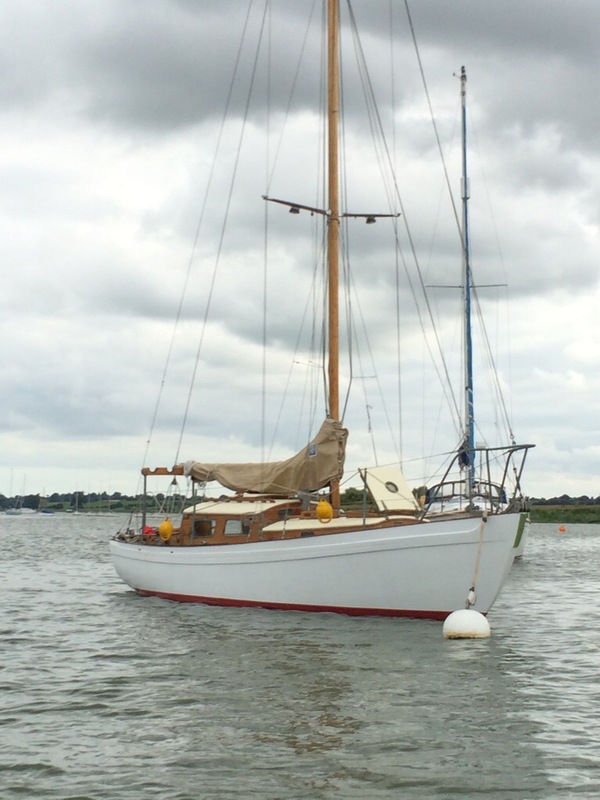 So we eventually tied her up to a mooring by Eversons and Geoff will take her back to her swing mooring off Kyson Point when she has fully taken up in a day or so.